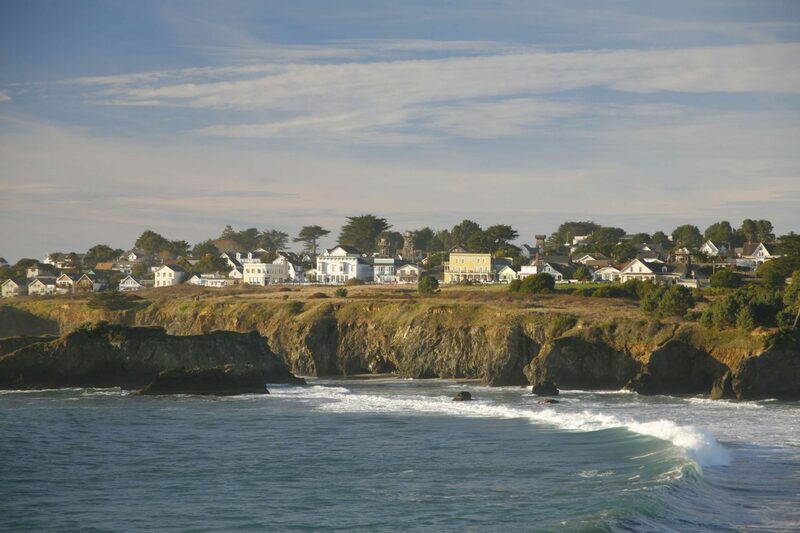 Alegria Inn is situated in historic Mendocino Village. 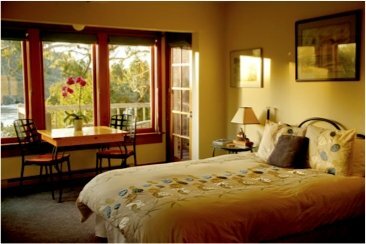 The inn property consists of the Main House and a collection of cottages nestled on a bluff overlooking Big River Beach and an ever changing ocean cove on the ocean side of Main Street. Right across the street is our Raku House with four rooms and suites. Guests enjoy beautiful perennial gardens, an ocean view deck, and a path to the beach. Restaurants, shops, museums, and galleries are all within walking distance – no more than five blocks from the inn. Big River State Beach is just 200 footsteps down the bluff on our beach trail. 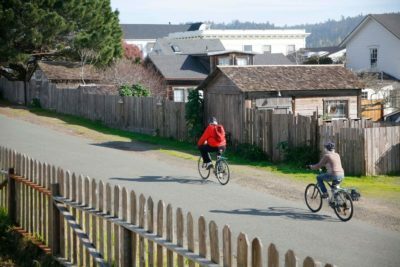 The trail around the Headlands State Park begins at the beach or use one of several trail heads along Main Street. Always in transition, our perennial garden, under the guidance of master horticulturist, Jaen Treesinger (featured in Horticulture magazine) and our gardener, Dan Salmond, is a showcase of interesting and unusual plants. We’re also proud to be on the Mendocino tour of antique roses. Guests staying at the Alegria Main House and Cottages enjoy full breakfast in our ocean view dining room. Deck seating is available in good weather. Breakfast is made fresh daily and features organic ingredients sourced as locally as possible. We begin with fresh fruit hand selected from our local organic food store and organic juices. Organic teas and coffees are served, as well as Hot Chocolate individually made with our own blend of cocoa powder. 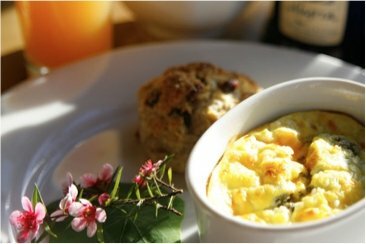 Chef’s choice entrees include frittatas, baked egg dishes, pancakes, waffles, and locally sourced sausage. Baked goods are always made in-house from scratch. Special diets are gladly accommodated. Guests staying at the Raku House are treated to a continental breakfast delivered to their room. It consists of freshly baked goods and the same organic beverages as served at the Alegria inn. Breakfast is not included at the Village Farm Retreat or the Dolphin House vacation rentals.